Abhinav, my brother, couldn’t get enough of butter chicken, and for that reason, I had to make a point of hating it. Sometimes sibling rivalry makes you do things that do not make any sense. Every celebratory occasion in the family, butter chicken made an appearance on the dinner table. I would grunt and nag mom for preferring him more than me—but all of us knew that was all a façade because I would always end up wiping the plate clean. Butter chicken is prepared with marinated chicken that’s first grilled and then served in a rich gravy (a.k.a. curry) made with tomato, butter, and a special spice blend as a base. Unlike most Indian curries where the preparation of the base starts with a blend of onion and a ginger garlic paste cooked in oil, butter chicken uses tomato as a base and is cooked in butter, giving it a slightly sweet flavor. Cashews and almonds add to the sweetness and richness of the dish. The roots of butter chicken are only as recent as the 1950s, when it was developed accidentally by the chef of famous restaurant Moti Mahal in Delhi, the capital of India. For chef Kundan Lal Gujral, it was a common practice to throw in butter, tomatoes, and leftover tandoori chicken into a pot to make use of the leftovers. Little did he know that this dish would become their best seller and put them on the map. Now the recipe is adapted by restaurants across the world, though it’s really a “special occasion” dish in Indian homes. Some people get confused between butter chicken and chicken tikka masala. The two might look and taste similar to some, too. The main difference is in the preparation. Butter chicken uses a lot of butter (makhan in Hindi) while chicken tikka masala uses tikka masala (a spice blend) comprised of coriander, paprika, black and green cardamom, cinnamon, and turmeric. Butter chicken is sweeter and chicken tikka masala is spicier. Even more importantly, butter chicken originated in India, while Chicken Tikka Masala was invented in the United Kingdom—it’s the national dish! 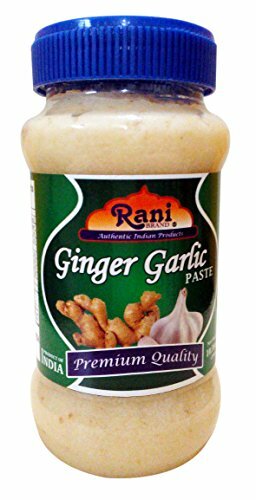 Ginger Garlic Paste: Traditionally, freshly grated ginger and garlic are used for the paste but if you’d like to speed up the process you can also buy a jar of ginger garlic paste from a local specialty food store or order one online, such as Rani Ginger Garlic paste. Kasuri Methi: The real unsung hero in this symphony of spices is kasuri methi, a variety of fenugreek leaves. It’s added to the dish in a very small amount, but its earthy flavor balances the richness of cream and the depth of spices used in the dish. Takes the dish to up to a whole different level. If you have a local Indian grocery, it should carry this spice. These days, major supermarkets including Whole Foods and Safeway also carry it. With this recipe, I have tried to stay as authentic as I can, while also keeping it simple enough that you could fix it for dinner tonight without breaking your back. Feel free to use just garam masala or even chicken tikka masala spice mix if you do not have all the spices for the marinade. 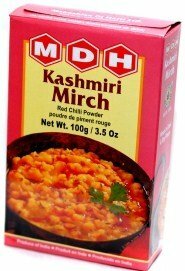 You can even use paprika instead of Kashmiri Lal Mirch if you have trouble finding it, and can completely omit Kasuri Methi if you absolutely have to (but remember, it sure is the unsung hero!). I also used roasted canned tomatoes here to save the time of peeling whole tomatoes. Canned tomato also adds to the deep red color in the dish. You can freeze this dish in an airtight covered container or a zip-top bag for a month. Thaw and reheat in a saucepan over medium-low heat to retain the texture. LOOKING FOR MORE GREAT INDIAN RECIPES? If you have trouble finding the spices, you can substitute paprika for the Kashmiri Lal Mirch and skip the Kasuri Methi. 1 Marinate the chicken: Bring the chicken and the rest of the marinade ingredients together in a large bowl. Using your hands, massage the marinade into the chicken. Cover with plastic wrap and refrigerate for at least 1 hour, or up to overnight. 2 Soak cashews and almonds in water for at least an hour to (or up to overnight) before preparing the rest of the recipe. 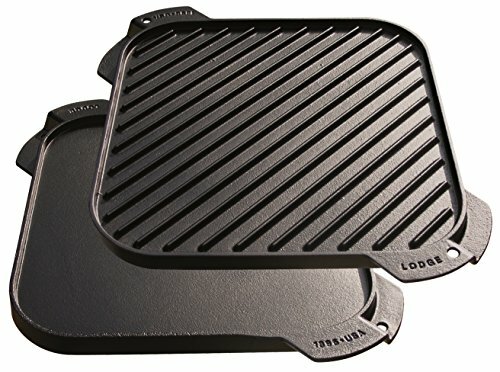 3 Cook the chicken: Heat a skillet or grill pan over medium-high heat. Drizzle a teaspoon of oil to the pan. Working in batches, remove chicken from the marinade and grill them on the pan for 3 to 5 minutes on each side, until the chicken is cooked through (clear juice runs out of it when you cut into it). Do not crowd the pan. Once cooked, transfer the chicken into a separate dish. Cover and set aside for later. 4 Start making the sauce: Melt 1 1/2 tablespoons of the butter in a medium sized Dutch oven or a skillet on medium low heat. As soon as the butter melts, add the ginger garlic paste followed by sugar. Sauté for 1 to 2 minutes. Stir in the tomato and cook for 8 to 10 minutes on medium high heat, until all the extra liquid is cooked off. The sauce should be a loose, paste-like consistency. Add coriander, garam masala, Kashmiri Lal Mirch, and salt. Stir and cook on medium heat for 2 to 3 minutes. Turn off the heat. 5 Puree the sauce with the nuts: Transfer the paste to a blender or the bowl of a food processor. Add the soaked cashews and almonds. Blend into a smooth paste. 6 Finish the dish: Return the paste to the cooking pan over medium heat. Add the water to the paste and stir to make a smooth sauce. As the sauce begins to boil, add the grilled chicken and heavy cream. Stir well. Cover the pan and simmer for 5 minutes. 7 Rest the butter chicken: Turn off the heat and uncover the pan. Stir in the remaining 1/2 tablespoon butter and the kasuri methi. Cover again, and let the dish rest for 8 to 10 minutes so the flavor of kasuri methi can marry into the butter chicken. 8 Serve: Serve the butter with a side of steamed basmati rice, roti, or naan. Leftovers will keep refrigerated, covered, for five days. Hello! All photos and content are copyright protected. Please do not use our photos without prior written permission. If you wish to republish this recipe, please rewrite the recipe in your own unique words and link back to Indian Butter Chicken on Simply Recipes. Thank you! Hello – how spicy is the Kashmiri Lal Mirch? We’re a bit spice sensitive in my house so I usually omit anything like red pepper flakes or cayenne from recipes. Would still like to use some for the color – but how hot is it? Kashmiri Mirch is the mildest of all the red chili peppers we use in India. It has a bit of earthy flavor so these are mainly used to give a nice color to the curries without making them hot. So technically they are not spicy at all. Having said that, if this is ten first time you are using it, then just use half the amount. And if you still want that bright red color, maybe you can add a drop red food coloring. This is amazing! I’ve made it twice in the last week. I’m new to Indian cooking (but love Indian food) and was apprehensive about cooking it from scratch but it turned out so great! Thank you so much for introducing me to some new spices and for this wonderful recipe! My while family (even the 4 year old) moaned with joy during the whole meal and we fought over the leftovers! This make me so happy Adrianne! Yes, by “coriander” we mean the seeds. This the recipe uses ground coriander (seeds) powder. Great recipe, as I make often, but I like your method too…I use Hungarian sweet Paprika and make my own ginger-garlic paste, it add freshness to the curry. Thank you for sharing and wish all the best. All I could find was fresh methi, how much of that should I use? 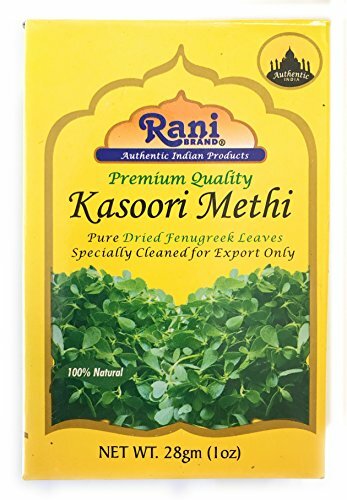 Kasuri methi is simply dried fenugreek leaves but I have to point, they are much potent than fresh leaves. So if you are substituting fresh leaves for dried ones then you must use at least 3-4 times the amount. A friendly warning: that amount of greens might change the appearance of butter chicken. Feel free to skip kasuri methi (or any methi) completely if you’d like. Prerna, I made this last night and I used about 1/4 cup of fresh leaves and then chopped them up and threw them in according to the instructions. We all loved it! It had a much more complex flavor than a lot of Indian recipes on the internet. I will definitely make this again! Thanks! Oh bravo! If you liked the flavor of fresh methi leaves then you should also try Methi Chicken once. Will do, I have some left! Thanks! Great write-up thanks for being so complete. Will have to make this week. I assume you marinade the chicken as cut-up pieces. When you grill the chicken, your picture shows the whole thighs being grilled – do you really grill the small cubes after marination (seems like they would over cook)?? or is it easier to just quick stir fry them? – OR do you marinade the whole thighs then grill them, then cut-up? You could stir fry too, if that makes your life easier. I tried to stay as close to the traditional method as I could, which involves grilling of the chicken pieces before adding to the sauce.